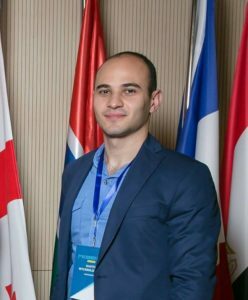 After graduation from Master degree programme “Diplomacy and International Relations” at Vytautas Magnus University (VMU), Daviti Mtchedlishvili from Georgia was accepted as a PhD researcher in New Zealand. 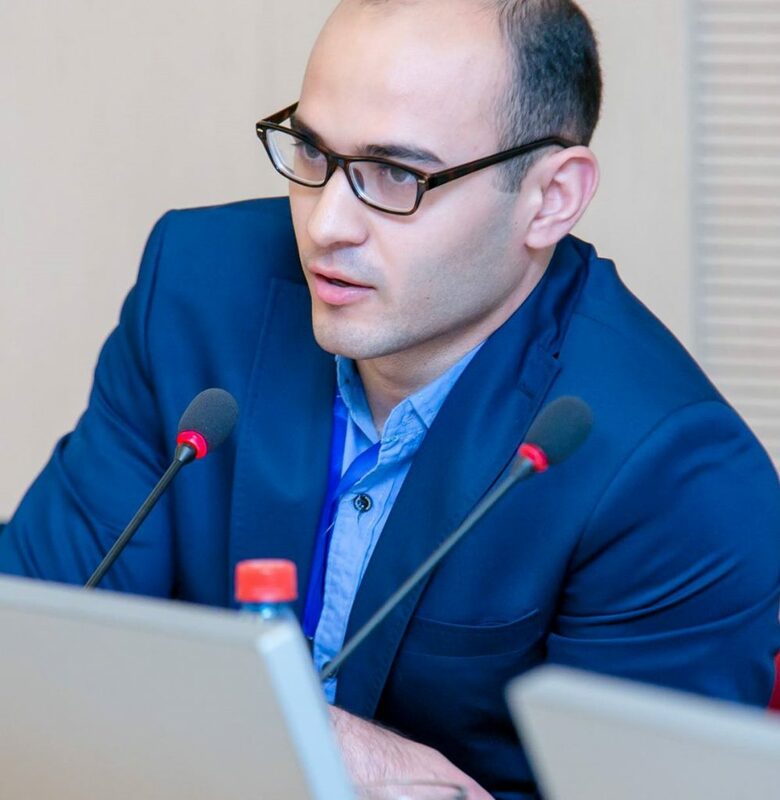 Currently D. Mtchedlishvili is working at a multi-disciplinary centre that brings together graduates and academics from a wide range of disciplines to research the European Union and Europe-related issues. “Studying at VMU was one of the major transition periods for me, involving new experiences and new skills. VMU was a great opportunity for learning and personal growth and it has had a very big impact on me and my future endeavors“, – says VMU Alumni. What expectations and goals did you have before starting your studies and becoming a student at VMU? Did you manage to achieve them? Starting university in a foreign country delivers great anticipation, often with equal measures of excitement and fear of the unknown. Studying at VMU was one of the major transition periods for me, involving new experiences and new skills. VMU was a great opportunity for learning and personal growth and it has had a very big impact on me and my future endeavors. I am more than grateful that I received an immense support and encouragement from VMU staff to navigate a successful academic transition process of mine. Being a master student of “Diplomacy and International Relations”, I was given comprehensively competitive education. Further, I have made loads of new friends and am generally very happy with my choice of university. The programme offers a comprehensive range of courses taught by Lithuanian and international professionals. VMU gives us the “fountain of knowledge”, one just need to grab it! Living in Lithuania was another pleasure that made my 2 years impressive. Why did you choose particular study programme at VMU? In general, my scholarly interests primarily lay in international relations and politics. This is a logical consequence of my choice of the study programme. In a nutshell, it is impossible to become a professional diplomat without a solid scientific base. “Diplomacy and International Relations” programme has been and remains a pioneer in this area. Since an important impetus for the study of “Diplomacy and International Relations” as an independent discipline under the auspices of the UN Vienna Diplomatic Conference, this programme has become one of the most popular graduate study programmes in the whole world, and Vytautas Magnus University is not an exception. I can state that programme methodology and outcomes are directly proportional. The programme gives opportunity to gain theoretical and practical experience, as well as analytical skills to quantify the main challenges in international relations. What is more, precisely, I have enjoyed all courses through the whole curriculum. What about your professional career? Where did you want to work after your studies and where life brought you? Where do you work now? During my master degree studies at VMU, I have developed strong interests in Europeanization process, especially in the Eastern Neighborhood, as I advocate the opinion that the defined area is a key part of the European Union’s foreign policy. Particularly, this is the reason why I chose Europeanization as a theme for my master dissertation. After receiving master degree from VMU, I spent half year as a project manager intern working for Governmental Organization in Slovenia. VMU provided me with a deeper realization of importance of being competent in various spheres of political science and international relations. I am deeply convinced that VMU background can make a political scientist to be complete expert in this field of research. The understanding of this fact and my strong aspiration to become highly qualified researcher led me to decision to apply for the PhD position. I decided to combine disciplinary depth with broad cross-disciplinary insights on European research. After a long and challenging procedure, I was accepted as a PhD researcher in New Zealand, at University of Canterbury. Currently I am working at a multi-disciplinary centre that brings together graduates, post-doctoral fellows and academics from a wide range of disciplines to research and study the European Union and Europe-related issues and topics. How VMU and study programme helped you to achieve your goals and integrate into job market?